The major objective of this report is to analysis General Banking activities of City Bank Limited. General objectives of this reports are to know the performance appraisal of City Bank, gain knowledge about the general banking, acquire in depth understanding of the functions of each department and coordinating the functions of various departments. Here also apprise the principal activities and evaluate performance of City Bank Limited. Globalization/Free market economy is now world’s major challenge. Banks are key financial institutions that play a vital role in the county’s economy and core of the payment system. The present economy of Bangladesh demands immediate development of financial institutions with this situation. This report has been prepared in the light of practical as well as theoretical knowledge that is shared by our honorable executives of The City Bank Ltd. The City Bank Limited pursues decentralized management policies and gives adequate work freedom to the employees. This results in less pressure for the worker and acts as a motivational tool for them, which gives them, increased encouragement and inspiration to move up the leader of success. Overall I have experienced a very friendly and supporting environment at The City Bank Limited which gave me the pleasure and satisfaction to be a part of them for a while. As an integral part of my MBA Program, this summer in the year of 2008, I have enrolled myself in completing the Internship report. It requires me to submit a paper on which I have worked. To fulfill this requirement, I have prepared this paper and have chosen” General Banking activities of The City Bank Ltd” as my paper’s topic. We know theoretical knowledge makes better sense when it’s associate with practical experience. For me, my exposure to banking started not with the theoretical knowledge but rather from direct involvement. This report is based on what I have learned from my practical experiences. To know the performance appraisal of The City Bank Limited. To gain knowledge about the general banking. To acquire an in depth understanding of the functions of each department. Coordinating the functions of various departments. To apprise the principal activities and evaluate performance of The City Bank Ltd. The City Bank Limited has already introduced some new Banking products like duel currency Credit Cards, ATM and Online services which has created attraction among the clients. The Bank is going to introduce real time Internet, SMS and Phone Banking systems with all modern delivery channels at an early date. For significant performance, The Bank has earned national & international recognition. The City Bank Limited was one of the 12 Banks Of Bangladesh among the 500 Banks in Asia for it’s asset, deposit & profit as evaluated by “ASIA WEEK” In The Year 2000. Other than that, The City Bank Limited received the “Top Ten Company” award from the Prime Minister of the People’s Republic Of Bangladesh. They have a distinguished Board Of Directors which consists of thirteen successful and reputed businessmen. Mr. Deen Mohammad, a top leading businessman, industrialist, pioneer personality & entrepreneur of private sector’s Bank In Bangladesh, is the Chairman of the Bank. Mr. Abbas Uddin Ahmed a dynamic, nationally & internationally reputed Banker is the Managing Director of the Bank. After taking his charge as chief executive in the year 2000, the Bank’s entire activities have achieved tremendous momentum. Since then, the overall scenario of the Bank has been changed drastically and started making nonstop progress. The word “banking” has been defined to mean the accepting, for the purpose of lending or investment, of deposit of money from the public, repayable on demand or otherwise, and withdrawal by cheque, draft, order or otherwise. U S A: Act of congress defines banking, “as the business of dealing in credit”. Japan: Act of 1927 in Japan defines bank as “institutions, which carry on operations of giving as well as receiving credit”. The general banking system of “THE CITY BANK LIMITED” have described following on the basis of departmental functions. Account is the systematic record of transaction. Bank Account is a contract between he Bank and the client, allowing he customer to use Bank Service against a cost of fees. This is the best way a Client can build relationship with the Bank. The main purpose of opening account is to deposit money. Deposit account can take on a various forms. Two photographs of the concerned party. Any one can open an account with the banker, if he is not incapable of entering into a valid contract and the bank is satisfied of his bonafide and is willing to enter into the necessary business relations with them. A minor is not capable to open an Account under the prevalent rules and regulations. Savings account is an individual A/C, joint A/c or minor A/C. It is an account where client can deposit his or her money having an interest from the bank on minimum rate of interest of per month transaction Like-6 to 8.5%. That’s why who wants to deposit rather than withdrawal choose such type of A/C. There are 10 leaves in a cheque book. The manager’s permission is mandatory to open any account. Savings account can either be opened individual or jointly. Interest rate in Savings Deposit in City Bank is 6 to8.5% and is counted on monthly basis. But no SD holder can draw more than 25% of his balance in a week neither s/he can encash more twice in a week. If he does so, he will be deprived of interest in that given week. The initial minimum deposit for this account in this bank is TK.500 in urban areas and for the rural areas it is TK.100. IC (Incidental Charge) of TK.50 will be deducted from the account if the minimum balance of the account goes bellow TK 1000. The applicant must find out an introducer who has a SD or CD account in the specific branch of the bank. The introducer must have satisfactory transaction as well as healthy account balance. The applicant must fill up the Account Opening Application Form properly. The introducer must introduce him by signing his name and mentioning his account number. He must also put his name and signature in the Specimen Signature Card (SS card) and must fill up the cheque book requisition form. The applicant must submit two passport size photographs, which will have to be attested by he introducer in backside. And also submit one copy photograph of nominee. The applicant must submit Citizenship Certificate/attested copy of passport/ driving license/voter ID/utility Bill. He must deposit money over the cash counter and hen he will be provided with an account number and cheque book. The Bank will match the applicant’s signature in the application form with that on the SS Card. It will match Introducer’s signature. The banker will fill up the KYC (know your Customer) form In front of customer. The Bank will attach one copy of photograph with the application form whereas the other copy will be with the SS card. It will issue an account number by registering the applicant’s name against the number. Manager’s permission is mandatory in this regard. The bank will send Thanks Letter to both the account Holder and the Introducer for safety reasons. All applicants’ name must be mentioned as account title. All applicants name, occupation, present & permanent address must be written in the form. Name of the person who will operate he account must be mentioned as special instruction in the application form & SS card. Permission and signature of all applicants’ must be done in front of the account opening officer. All major decisions (nomination, closure etc) must be taken by all account holders. It is non-interest bearing A/C. Any legal Businessman or Company can open this A/C. client can demand and withdrawal all of the money without giving any notice to the bank.That’s why who wants to cycle their money every now and then choose such type of A/C. the Cheque book leaves are 25,50 or 100 in number. Current account can be opened individually, proprietorship, jointly, partnership, autonomous, govt., club etc. No interest rate is offered in this case neither here is any bar regarding minimum balance or weekly cash withdrawals. The initial minimum deposit for this account in this bank is TK. 1000. No IC (incidental Charge) is deducted in this regard. The applicant finds out an introducer who must have a CD A SD account holder can not introduce a current account holder in the specific branch of the bank. The introducer must have satisfactory transitions as well as healthy account balance. The applicant must fill up the account Opening Application Form Property. The introducer must him by signing his name and mentioning his account number. He must also put name and signature in the Spaceman Signature Card (SS Card) and must fill up the cheque book requisition form. The applicant must submit two passport size photographs, which will have to be attested by the introducer in backside. He must deposit money over the cash counter and then he will be provided with an account number and cheque book. The bank will match the applicant’s signature in the application form with that on the SS Cad. Manager’s per mission is mandatory in this regard. The same above mentioned rules and regulation & steps are applicable in case of a joint CD account. But SD account holders can not open a Joint account. When a proprietor open an account on behalf of his/her firm. She/he may mandate some other employees to operate that A/C without his/her presence. Copy of Trade License (up-to-date). He must bring the main copy to the bank so that concerned authority can compare them and attest accordingly. Declaration of ownership containing his signature and seal in it. In case of authorization, manager’ signature must be attested by the account holder (proprietor) in he application form as well as in the SS Card and must be mentioned as special instruction. Partnership farm may be registered or unregistered. If it’s registered, then registration Certificate form the joint Stock Company must be submitted. In case of unregistered partnership farm, the bank can file law suit against, but it can not sue the bank. Extract of the resolution of the Board/ General Meeting of Company for opening the account and authorization for its operation duly certified by the Chairman of the company. Photocopy of passport of the Chairman/Managing Director. Certified true copy of the list of directors of the company along with their Signature. Partnership deed/Agreement must be submitted in Tk.150 Judicial Stamp Paper. Retirement/ death of any partner must be informed to the bank. Bank reserves some specific rights in case of partnership account. One is the right to set off which gives it the authority to transfer fund from another individual CD/ SD of any partner to meet liabilities of the partnership account. The other is the right to close the partnership account if one partner is found bankrupt. In this types of deposit, a large amount of money is deposited in the bank for comparatively higher rate of interest (simple, not communed but calculated annually) is offered to the depositor for the period of 3 months,, 6 month, 1year with the condition that s/he can withdraw the amount before maturity but can draw the profit on a monthly basis. If the client not applies for renewal after maturity then the interest will be imposed after every three month. The maturity date of the MTDR and profit rate will be specifically mentioned on the MTDR. Branch manager’s authorization is obligatory. Maturity is 3 month, but if enchased before it then will be given. No service charge or excise duty will be deducted. It enchased before maturity period (6 months to 1 yea or above) profit will be given according to the nearest slab and service charge duty will be deducted. 80% loan as lien can be given against the FDR. If any account number mismatches for which the amount can not be credited in any particular account, the amount is the sundry deposit. This deposit consists of the summation of provident funds of entire employees’ individual amount for readers convenience charts are provide for showing necessary documents to open different types of accounts which are mainly Savings or Current account. TT is the quickest method of transferring funds from one place to another. The remitting branch sends a telegraphic/ telephonic/ Fax message to the branch at the other end, to pay a certain sum of money to a named payee. It is an instrument containing an unconditional order of one bank office to pay certain amount of money to the named person or order the amount therein on demand. DD is very much popular instrument for remitting money from one corner of money to another. Commission for DD is 15% of the principle amount. It is process of money transfer from payer to payee within a certain clearing area through banking channel. A person can purchase payment order in different models such as Pay Order by cash, Pay Order by cheque. Clearing stand for mutual settlement of claims made in among member banks at an agreed time place in respect of instruments drawn of each other: Clearing House is an arrangement under which member banks agree to meet, through their representatives, an appointed time and place to deliver instruments drawn on the other and in exchange to receive instruments drawn of them. The nit amount payable or receivable as the case may be, is settled through an account kept with the controlling bank (Bangladesh Bank/Sonali Bank). When a particular branch receives instruments drawn on other bank within the clearing zone and sends those instruments for collection through the clearing arrangement is considerate as Outward Clearing for that particular branch. This branch knows as collecting branch. Clearing returns (inward) consists of those instruments which were presented by us to other banks for payment but have been returned and unpaid by them due to specified reason through the clearing house. OBC/IBC is required when both the banks are not in the same clearing zone. Outward Bills for collection (OBC) and Inward Bills for collection (IBC) is required when both the bank (collection bank and paying bank) are not in the same clearing zone. For example-when the cheque of Dinajpur Branch of Sonali Bank is received and sends for collection by CBL Islami Banking Branch then it is OBC. On the other hand it is IBC for Sonali Bank Dinajpur Branch. Receive and verify the cheque and deposit slip (customer’s portion and bank’s portion). Special crossing is marked over the cheque. Entry the details into OBC Register. OBC seal is marked over the cheque and deposit slip, mentioning the OBC number. The endorsement is given on the back side of the cheque, mentioning ‘Payees A/C will be credited after realization’. Signature of a P.A holder must be taken over the Deposit slip, OBC Register and forwarding letter. Two copies of schedule is prepared. First copy is sent to the drawee branch with forwarding letter and instrument. Second copy is reserved as office copy. Send to the respective branch. Lodgment Voucher for the collecting Bank. Verify the signature of the officer, executed over the IBCA. Entry reverses the Lodgment Voucher. E.g. Entry the date of payment over the OBC Register. Received Seal is marked over the Office copy of the Schedule and deposit slip. Generally, the procedure is almost the same. In this case we get a draft from the drawee branch and commission is charged twice. Firstly by the drawee branch and secondly by the drawer branch. The drawee branch sends a draft and we collect this through clearing house. Credit- Outward Bills for collection. Lodgment voucher will be reversed for E.g. The party voucher will be prepared accordingly. In addition, I have also learnt the procedure of cash-in and cash-out from the vault. We have also got acquainted with systematic procedure of cash receiving through different vouchers as well as payment procedure by different cheque and vouchers. Science the branch is fully computerized, it does not maintain token, scroll etc. Cash Receiving by TT, DD, Pay-Order, MTDR. By paying slip we receive cash of CD or MSD account. When we receive cash by paying slip, officers check the paying slip if there is any discrepancy, if everything is found to be in order, then they make entry of the amount in the scroll register and put receiving seal on paying slip. Two kinds of bills (DESA & Grameen Phone) are received in drench. When officers receive cash bill, h/she check the bill’s copy to see whether is any discrepancy. If everything is found alright, then h/she makes entry of the amount in the scroll register. And h/she put receiving seal on bills paper. At first the form filled up by the party should be checked to verify whether is any discrepancy, if everything is found to be in order, then officers make entry of the amount in the scroll register and put receiving seal on the respective form. Usually cash is paid against cheque, pay-slip, pay-order, DD and debit voucher. While paying cash against any instrument, officers first verity whether there is any material alteration on the instrument. He also check the instrument if it is in holder in due course and holder in due time. Then he verifies the signature of payee. If everything is in order, he pays the amount to the respective payee. The position of the cash department is very important. The cash department should be at a safe place. If should be at the middle position of the branch. The cash counter and vault should be a close to cash department. The cash position of the Islami Banking Branch is in the front side of the branch and its safe and vault is at the back side of cash department. Holds the key of cash safe. Receive cash from other bank/Branch and acknowledge, where necessary. Opens the cash safe before commencement of business along with other personal holding the key. Supervise receipt and payment of cash. Supervise the carrying of the cash to the cash Department. Delivers cash to the paying cashier against receipt on a memo. Countersigns the credit vouchers if he is an attorney. Arranges sending cash to other Branch. Check the receiving cashier’s and paying cashier’s receipt/payment sheet and collect cash from them. Maintains record of stamped forms. Investigate and inform the manager about excess or shortage of cash. Gets books and cash checked by manager or authorized officer. Supervise the custody o f cash in the safe and books in the strong room. Checks the drawers of the cashiers before leaving the office. 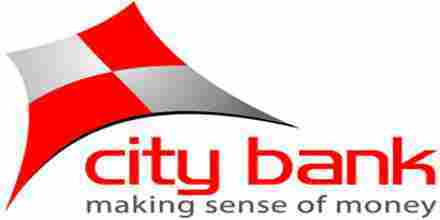 Five years performance of The City Bank Limited is increasing day by day. The most important area of the bank such as deposits, advance import and export investment are given below. The City Bank Limited provides its customers excellent and consistent quality in every service. It is of highest priority that customer is totally satisfied. The City Bank Limited draws its strength from the adaptability and dynamism it possesses. It has quickly adapted to world class standard in terms banking services. NBL has also adapted state of the art technology to connect with world for better communication to integrate facilities. All the level of the management are solely directed to maintain a culture for the betterment of the quality of the service and development a corporate brand image in the market through organization wide team approach and open communication system. The City Bank Limited utilizes state of the art technology to ensure consistent quality and operation. On of the key-contributing factors behind the sources of NBL are its employees who are highly trained and most competent in their own field. NBL provides their employees training both in- house and out side job. The City Bank Limited is free from dependence from the ever-disruptive owner supply of our public sources. The required power is enervated by the company through enervator fed on diesel. Water enervation at present is also done by deep tube wells on site and is abundant in quality. The City Bank Limited provides its workforce an excellent place to work in. total complex has been centrally conditioned. The interior decoration was done exquisitely with the choice of soothing colors and blend of artistic that is comparable to any multinational bank. The City Bank Limited also provides power card service facility. First year Bank is not providing any service charge for the power card. The City Bank has very limited human resources compared to its financial activities. There are not many people to perform most of the tasks. As a result many of the employees are burdened with extra workloads and works late hours without any overtime facilities. This might cause high employee turnover that will prove to be too costly to avoid. Government of Bangladesh has rendered its full support to the banking sector for a sound financial status of the country, as it is becoming one of the vital sources of employment in the country now. Such government concern will facilitate and support the long tern vision for The City Bank Limited. Emergence of e-banking will open more scope for The City Bank to reach the clients not only in Bangladesh but also in global arena. It is also facilitate wide area network in between the buyer and the population units of The City Bank to smooth operation to meet the desired need with least deviation. Market pressure for increasing the SLR. Market pressure for increasing the provision against loan loss. As previously mentioned, the world is advancing towards technology very fast. Through The City Bank Limited taken effort to join the stream, it is not possible to complete the mission due to the poor technological infrastructure of our country. Due to existence of unnerved demand in financial sector, it is expected that more financial institutions will be introduced in the industry very shortly. And we have already seen such cases in our country that lots of view services. The City Bank Limited should always be prepared for the completion in the coming ears. Shyamoli Branch takes too long time for providing services. It sometimes creates bad effect in market. Many clients are switching to other banks to reduce this processing hour. Marketing policy is not strong enough to attract potential customers in market. Lack of strong monitoring unit. Sometimes the process of information transferring to the management is lengthy. The counter service is sometimes unsatisfactory because of not having enough employees for the counter sector. The branch is making profit every year at a steady rate. The rate of deposit collection in every year is increasing at a positive rate. Motivational activities should be taken by the authority to increase the satisfactory level of employees. If employees are satisfied in heart, then management can expect to have good output from there. Apart from advertising in media, the branch can take some steps for personal selling. Staffs or officers can be hired or internal staffs can be used for this. Proper and sufficient training is required for each and every staff to work with full capability in the best way. So training should be introduced for all staffs of Mirpur Branch of The City Bank Ltd. Proper monitoring is the pre-consideration for good collection. So monitoring unit is required to be efficient enough to collect more deposit. Staffs of branches require being sincere enough in their jobs. This will help in banking procedure. The brochures of the products and services of the branch can be mailed through the welcome letters along with the status of the customers via courier. Interpersonal relationship needs to be built among the employees and superiors. Improved customer service and consequently get satisfactory operational result.. Incorporate more products for the customers. There are a number of nationalized, private and foreign banks operating their activities in Bangladesh. Among them The City Bank Limited is one of the leading commercial bank. CBL has introduced a new dimension in the field of innovative and benevolent banking in our country. The bank has successfully made a positive contribution to the economy of Bangladesh with in very short period of time. Its profit is gradually increasing. It plays a great role in collecting scattered Deposit, Loan settlement and International Trade etc. The Bank ensures quality services to the customers. For better growth and healthy economic position, it should introduce new and lucrative long-term credit schemes especially for new investors and schemes for poverty alleviation like micro credit. I hope CBL do more work for socio-economic development besides their banking business. To keep pace with ever-changing uncertain domestic business environment and face the challenges of revised global economic scenario, the bank should be more pro-active and responsive to introduce new marketing strategy to hold the strong position in home and abroad. For the future planning and the successful operation in its prime goal in this current competitive environment I hope this report can provide a good guideline. I wish continuous success and healthy business portfolio of The City Bank Limited (CBL).